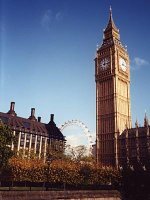 London is one of the biggest European capitals, with its long tradition and central historical role, and it is currently a leading business and cultural spot in Europe as in the whole world. Being the most populous city in the European Union, London is a multi-ethnic city in which different cultures meet and coexist. The city is connected with the rest of Europe and with the other continents mainly through its five airports: Heathrow, Gatwick, Stansted, Luton and the City airports. The Heathrow airport is one of the biggest world international airports and hosts the main international fly companies. It's very well connected to the city centre and it's served by the city tube service (Piccadilly line). The other airports connect the city with the rest of Europe, and a number of low-cost companies land and depart from Gatwick, Stansted and Luton. The Gatwick airport is connected to London Victoria station via the Gatwick Express rail service, and the National Express coach service. From the Victoria station the University can be reached using the underground service (Victoria line until Oxford Circus station and then central line until Mile End station). The Luton airport is connected with central London mainly by the Green Line 757 coach service. The best option is to leave the bus at Marble Arch, and then take the central line until the Mile End station. Otherwise, the coach stops at Victoria station. From the Stansted Airport the city can be reached with the National Express coaches. There is a good connection with central London (Victoria station) and east London (Stratford). The suggested option is to take the coach to Stratford and the the tube (central line to Mile End station). The City Airport is inside London, and it's connected with the major European business cities. The airport does not host low-cost companies. The university can be reached using the underground services: the closest tube station is Canning Town, on the Jubilee line (jubilee line to Stratford, and then central line to Mile End station).